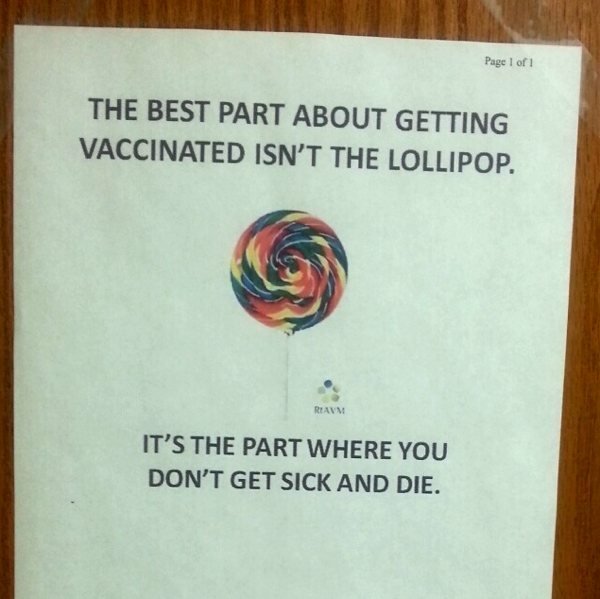 If you fail to vaccinate an eligible child you are willfully endangering not only that child but everyone else's. This should be a crime. For their sake, we have a moral—and there should also be a legal—obligation to protect them. Everyone who can be vaccinated must be vaccinated in order to prevent the spread of disease. This is a protection we demand even for our animals: kennels will turn your pet away if they aren’t properly vaccinated and on an accepted flea treatment. There are rules we all have to play by and responsibilities we have to live up to if we want to live in a society together. If this isn’t enough to convince a person to become fully vaccinated, then perhaps there is a solution that maintains everybody’s freedom: Anti-vaxxers can opt out of American society. No public or private school, workplace or other institution should allow a non-exempt, unvaccinated person through their doors. A basic concern for the health and safety of others is the price it costs to participate.